So i decided to join LaZat Cooking School and learned how to make my favorite Thai dishes. 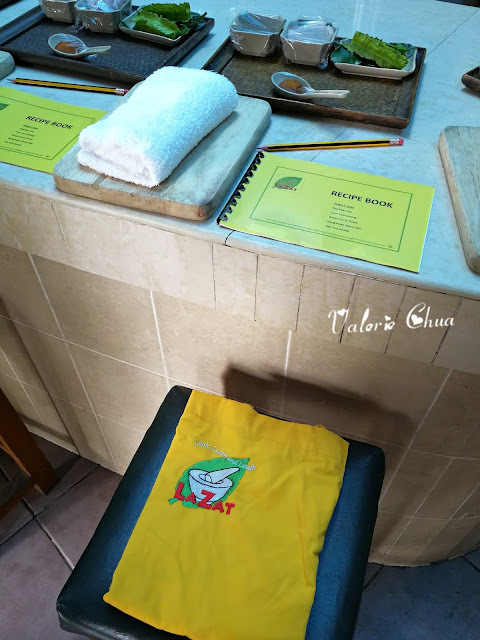 One of the reason why I have chosen LaZat Cooking School instead of other cooking schools, is because they offered Market Tour before the cooking session. My cooking instructor, Laty brought us around the market and introduced our local Malaysia fruits and vegetables, including 'ulam' (village vegetables) that can rarely find in market nowadays. Laty also shared some tips on choosing seafood and the best place to get varieties of paste for our dishes.